Broadcast Schedule: The Michelin GT Challenge at VIR will be televised LIVE on FS1 on Sunday, August 27th at 1:30 PM ET. VIRginia International Raceway: The Alton, Virginia circuit has been home to many race series for over a decade. Its 18-turn, winding track is a driver and fan favorite with its elevation changes and high-speed corners. The circuit is the team’s home track – located some 130 miles northeast of Change Racing’s Concord, North Carolina race shop. Road America Rewind: Change Racing got off to a great start in the previous event at Road America with Jeroen Mul scoring not only his first pole position, but also giving the team its first front row start of the season. Even more incredibly, Mul had never competed at the track previously, but still managed to beat the entire GTD field with a fast lap of 2:06.649-seconds at the 4-mile circuit. The race outing didn’t provide the hoped-for outcome as a gear selection problem kept the team from converting the outstanding qualifying result into the targeted podium result. Corey Lewis: Lewis is looking forward to making his return to VIR, having competed there last year with Change Racing. Lewis scored a top-five result in the No. 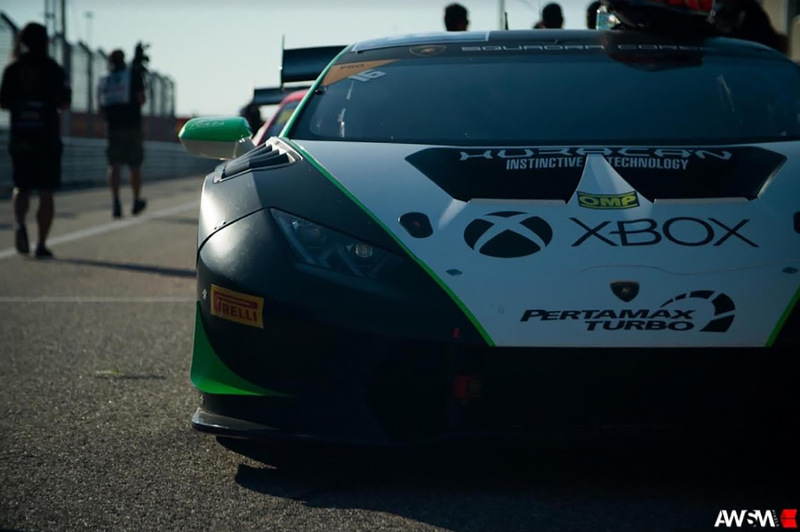 16 Change Racing XBOX / Monster Energy / Orion Lighting Lamborghini Huracán GT3 and is looking to improve on that result this weekend. Jeroen Mul: Mul’s endeavor of learning great American race tracks will continue at VIR as he will make his first laps at the 3.27-mile road course on Friday. Mul will rely on his simulator training which has been preparing him for each new event that comes his way. 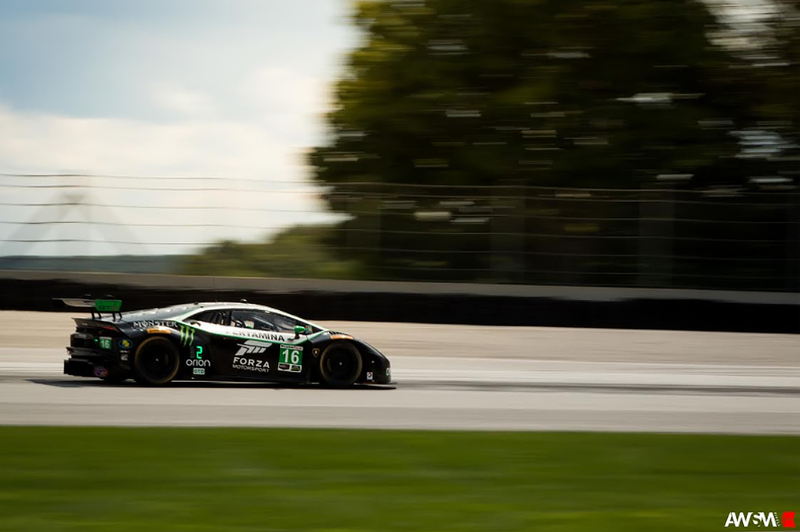 Lamborghini Super Trofeo: The Change Racing double Lamborghini lineup will continue this weekend at VIR for Round 4 of the Lamborghini Super Trofeo Series. The two Change Racing machines dominated in Round 3 at Road America as Bryce Miller scored his first ProAm win along with a second place finish. Miller’s performance at Road America helped to move him up to third in the ProAm championship standings. Miller’s teammate, Richard Antinucci, left Road America with a second place Pro finish, putting him second in the points going into the VIR weekend. Welcome Andy Lally: Richard Antinucci will be joined by Andy Lally for Round 4 of the Lamborghini Super Trofeo weekend. Antinucci, who is currently second in the Pro points championship, will have extra expertise as IMSA WeatherTech SportsCar Championship driver, Lally joins him in the No. 16 Lamborghini Huracan. Lally, who competed in one Super Trofeo race with Change Racing in 2015 and won, looks forward to teaming back up with longtime friend and Change Racing team principal, Robby Benton. What sparked the decision to have Andy Lally co-drive with Richard? We found ourselves to be giving up too much time and track position with the series-mandated pit lane differential of 3 seconds between cars with a single driver and cars with a driver pairing. Our stops had to be 3 seconds longer because of Richard being a single driver instead of having a paired teammate. Aside from that, we wanted to put the very best candidate in the seat without taking away from our GTD effort with Corey (Lewis) and Jeroen (Mul). Andy drove for us once in 2015 and brought home a victory at Watkins Glen, so we felt he was the right fit to pair with Richard in this instance. Andy is also a great litmus test for our program just to see where we are in terms of performance. What are you looking to get out of the two of them driving together? The main thing is to eliminate the longer pit stop and to try and have the two best guys available to us in the car. Plain and simple, this is about stacking the deck to win races. VIR is the home track for the team, as well as Lamborghini Carolinas and after a few rough outings at Watkins Glen and Road America, we have ground to make up in the championship point standings. The purpose here is to make up what we’ve lost and hopefully regain the points lead after VIR. How do you think the pair will work together? I think they’ll be a very strong driver pairing. They both are well acclimated to extracting the maximum from the car and I’m hopeful we can have a strong showing at VIR, make up some ground in the Pro Series Championship and have a good showing in front of our home crowd. The Super Trofeo Series has grown a lot in terms of competitiveness and I think the fact that we have to turn to a world class driver like Andy Lally speaks volumes for how high the bar is currently set at the top of the Lamborghini Super Trofeo Series. We’ve competed in every North American round of LST competition since its inception in 2013 and it’s been great to see how far the series has come. Chris Ward (Series Director) has done a phenomenal job of building this championship into the place to be for close competition and pure fun.